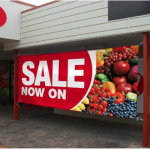 Make a BIG statement with our indoor and outdoor signage with our engaging, full-color solutions. 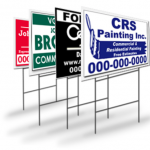 We go far beyond basic yard signs to offer business, construction and real estate signage solutions. If you need to stop traffic and grab attention, talk to us about how we can help.